Travel from the KTM Ipoh Railway Station (stesen keretapi) by train is relatively fast, convenient and cheap. Ipoh is a major stop on the North - South Line in Malaysia, with all ETS Trains stopping here. These Ipoh high-speed Electric Train Services (ETS) travel throughout the day to and from Kuala Lumpur's KL Sentral Station, Seremban and Gemas to the south and from Ipoh to Butterworth Penang and Padang Besar Railway Station on the Malaysia / Thailand border to the north. From this date a new KTM train schedule is in operation and you will no longer be able to travel to or from Ipoh on the older diesel Intercity Express Trains. All long distance trains on the new dual track between Padang Besar and Gemas will now be operated by ETS high-speed trains, so if heading south to Johor or Singapore, you will firstly have to take an ETS Train from Ipoh to Gemas. From Gemas you can continue to Johor Bahru and then from JB to Singapore by new Shuttle Train services. If you want to travel to Hat Yai from Ipoh by train, you will now have to take an ETS train to Padang Besar, then a shuttle train or local bus to Hat Yai. Travel to and from JB from Ipoh by train now has to be done in two steps : an ETS Train from Ipoh to Gemas, then a Shuttle Train from Gemas to JB Senral. The trains from Ipoh to Singapore, now all terminate at JB Sentral Railway Station in Johor Bahru. From JB, you can catch one of the new Shuttle Trains to Woodlands, or take a bus into Singapore city centre. 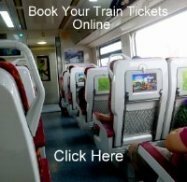 Travel from Ipoh to Butterworth on the fast ETS Trains. 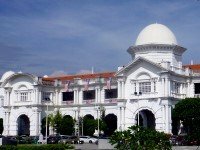 From Butterworth Railway Station it is easy to get over to Penang Island and the World Heritage city of George Town, with the ferry close to the station and taking just 15 minutes to cross. Take an ETS Train to either Alor Setar or Arau which are both close by to the two ports on mainland Malaysia that have regular ferry boats over to Langkawi Island. The daily overnight train from Ipoh to Hat Yai in Southern Thailand is now cancelled, so you will now have to take an ETS Train to the border at Padang Besar, then a Shuttle Train or local bus to Hat Yai. From here you can continue by train, bus or minibus to most popular tourist destinations in Southern Thailand, all the way up to Bangkok. Alternatively connect with the International Express service that now departs from Padang Besar and travels all the way to Bangkok. 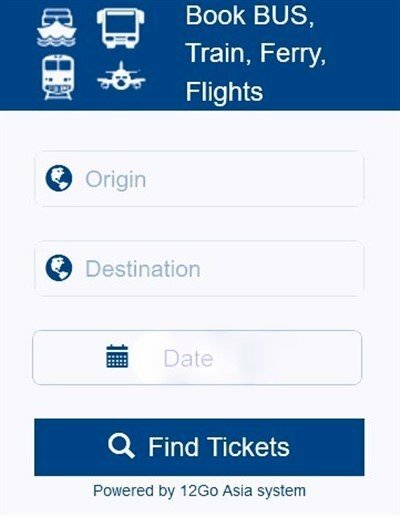 All KTMB train tickets in Malaysia are available in advance (booking times vary) and can be booked from any ticket counter at a mainline station.